The National Narrowband Network is a Low Power Wide Area Network (LPWAN) driven by LoRa™ wireless technology. 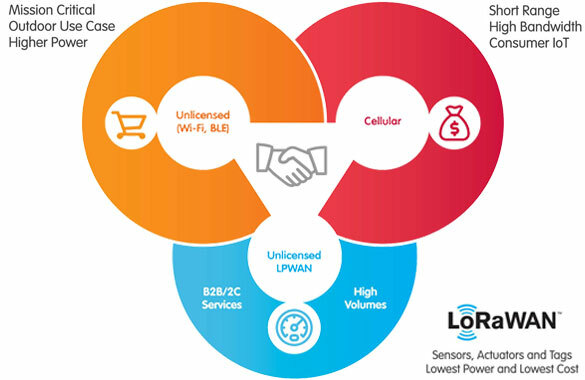 LoRaWAN™ is a Low Power Wide Area Network designed to connect low-cost, battery operated sensors over long distances in harsh environments that were previously too challenging or cost prohibitive to connect. Across the globe, more than 90 major carriers have deployed LoRaWAN networks and 500 key technology companies have deployed more than 50 million sensors worldwide. 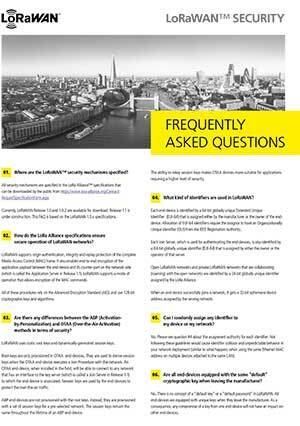 Like Wi-Fi, LoRaWAN operates in the unlicensed band and supports indoor applications. Like cellular, LoRaWAN technology is highly secure from end devices to the application server, and is suitable for outdoor applications. LoRaWAN Technology combines these features of Wi-Fi and cellular networks to offer an efficient, flexible and economical connectivity solution ideal for IoT applications whether indoor or outdoor and installed in public, private or hybrid networks. Simple sensor data can fuel analytics platforms, such as those for artificial intelligence and machine learning. These require data diversity which is made possible by low-cost LoRaWAN-enabled sensors. 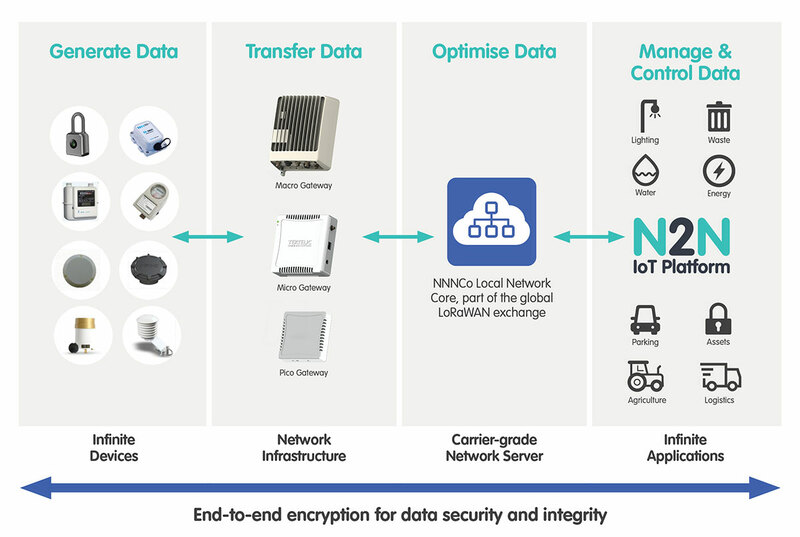 LoRaWAN has the advantage of a flexible network deployment architecture which uses macro, micro and pico gateways to provide multi-layered network coverage outdoors, indoors and in hard-to-reach places. NNNCo is a contributing member of the LoRa Alliance, the world’s largest and fastest growing alliance in the technology sector. The LoRa Alliance’s ecosystem of over 500 members includes 96 public network operators with service in 51 countries and growing. 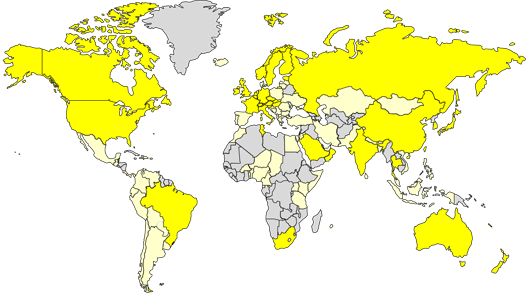 Public, private and hybrid LoRaWAN networks are globally available in a total of 100 countries. This existing infrastructure makes it easy and efficient to deploy solutions immediately.